Taking certain medications, including antibiotics and anti-high blood pressure drugs, can also increase your risk for tooth stains. Antibiotics that contain tetracycline and amoxicillin can potentially turn your enamel gray, yellow, or brown over time. If you ever used antibiotics and your teeth have changed color, speak to a dental provider to see if tooth whitening can clean the stains from your teeth. You can also discolor your teeth from grinding your teeth (a condition called bruxism). Teeth grinding wears down your enamel and exposes the dentin. Bruxism also places excessive stress on your teeth, which causes pain in your jaw and face. If you grind your teeth, be sure to tell our dentist right away. You may receive treatment to protect your teeth from the effects of grinding and to cover up the stains and discoloration on them. Providers like Milner Dentistry offer a wide array of treatments that can improve the color and stability of teeth, including chemical bleaching. Chemical treatments gently remove stains with hydrogen peroxide- based ingredients, which remove stains from the surface of enamel and below it. It's important to understand that the whitening treatments our dentist provides may be safer and more effective than store-bought products, which can cause your teeth and gums to feel sensitive. The whitening process isn't as hard as you might think. You typically undergo an oral exam to see if you have any problems, including gum disease that may interfere with your treatment. 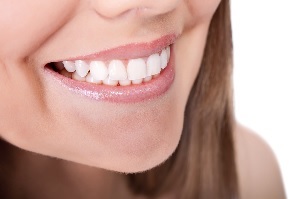 If you do have issues, we will treat them prior to whitening your teeth. In addition, a dental hygienist will clean your teeth and gums. Teeth whitening yields the best results when your mouth is free of plaque and bacteria. The actual whitening process can take anywhere from 30 minutes to one hour and up to four weeks to complete depending on the method used by our dentist. If you don't qualify for chemical whitening, you may have the option of using veneers and crowns to whiten and protect your teeth from further problems. Veneers and crowns are permanent solutions to getting whiter teeth but may take longer to place. So, keep this fact in mind when you speak or meet with our dentist. After treatment, we can advise you on how to keep your teeth looking good at home. Regardless of how you whitened your teeth, always monitor what you eat to keep them bright and free of stains. For instance, you may want to cut back on eating and drinking berries and dark-colored beverages. Instead of drinking two cups of coffee or tea, opt for sparkling water to stay hydrated. If you have additional questions about whitening or improving your teeth, contact the experts at Milner Dentistry for an appointment.